This is the only sleep and relaxation app you’ll ever need. NEW 2.2 UPDATE!<< for iOS7 and iOS8. It’s perfect for those who want to attune their brains to desired states of mind. Really, everyone should give 300 a try. But if you believe you’re already relaxed enough, you can skip it. If you are having troubles focusing, give 300 a try. It’s so easy to use you’ll be able to go from high strung to calm in no time. *Note: For iPhone 6 and 6Plus users, use the 'Zoom' feature to increase app size. "I highly recommend it because it’s genuinely useful." 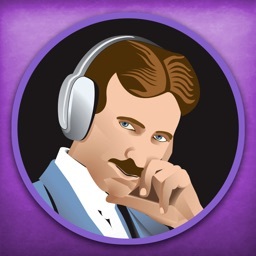 The only sleep/relaxation app you'll ever need. 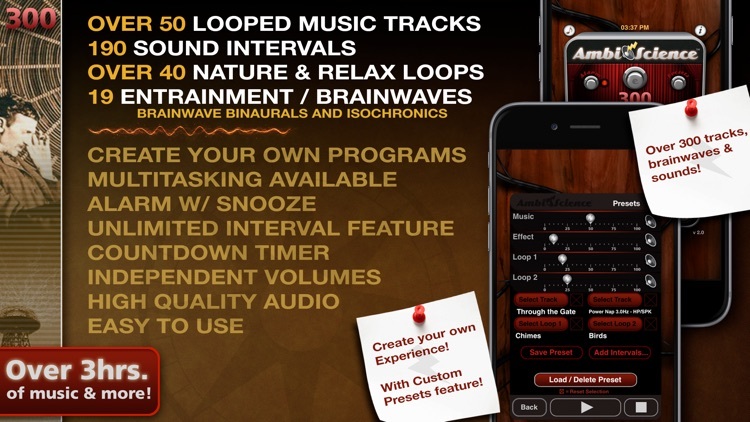 Let AmbiScience™ take you on a sonic journey with a combination of ambient electronica and a variety of several effective programs that attune your brain to desired states of mind using the best entrainment frequencies. 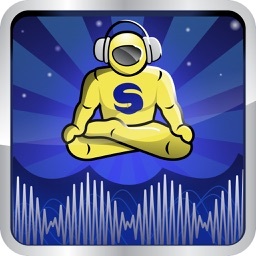 Tune your mind to help you with sleep, relaxation and more. • 50+ Pro Evocative Long Ambient Tracks! • 190+ Sound Hit Intervals! 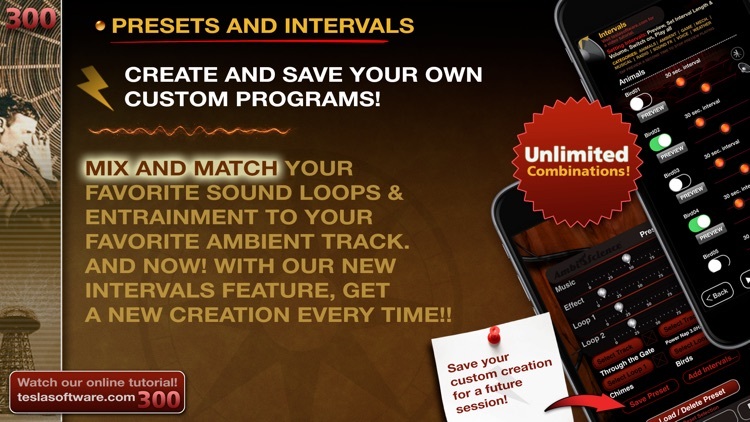 • 40+ Nature and Sound Loops! 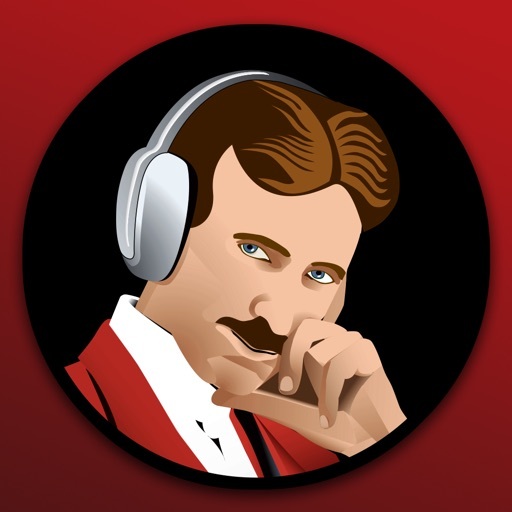 • Multitasking background audio available! • Play your iPod music with entrainment! • Through the Gate • Dreaming in the Rain • Approaching Zentropia • Planetside • Rainy Forest • The Lake • Underwater Ocean Tour • Oceanview • Rain and the City • Lost Moments • The Inner Temple • Dancing Coils • Misty Mountains • Formosa 2064 • Daedalus Convolution • Dreamcatcher • Aquatic • Pull • Meditation Bells • Beyond the Light • City of Rain • Cybernetic Dreams • Deckard's Ballad • Hello Alice • Man of Mind • Need some Clarity • Superconscienceness • Leaving Zentropia • Tesla at Twilight • Desert Sunrise • Didgeridoo Dreams • Angel Ascension • An Evening Rain • High Plains Japan • The Power Plant • Joseph's Dream • High Plains Asia • Tesla's Lab • Gone Fishing • Buddhist Rain • The Power Plant • The Fountain of Raw • A Visit to Olympus Mons • Plus 6 Misc. Drones to make your own custom tracks! • Power Nap • Deep Sleep • Sleep • 25min Sleep Prog • 12min Sleep Prog • 3min Caffeine Prog • 3min ADD Prog • Attention and Focus • Memory Improvement • Remove Fear/Guilt • The Solfeggio Frequencies! • HOW DO THE BRAINWAVES WORK? Once you choose a particular frequency, such as the 'sleep' (brainwaves) frequency, this state is then more quickly achieved than normal. This is done by a mixing of tones sent to each ear - the difference between the two tones, that your brain creates, is called binaural brainwave entrainment. We also include isochronic entrainment, which is a different form, using a single pulsating tone in each ear - people who don't respond to binaurals, often respond to isochronics. 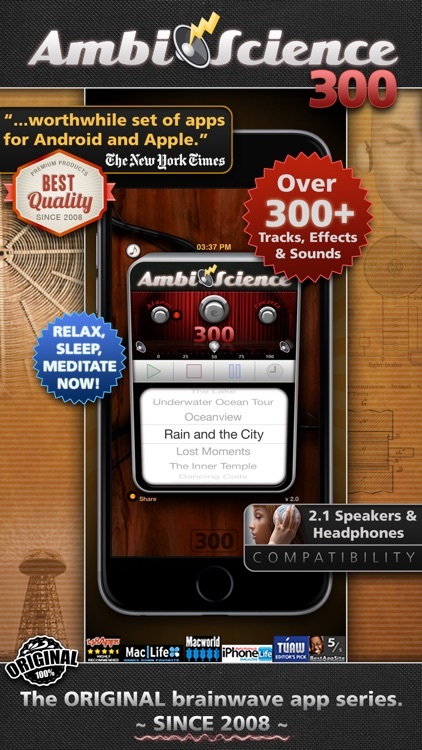 AmbiScience is the only app which includes binaurals and isochronics in ONE. 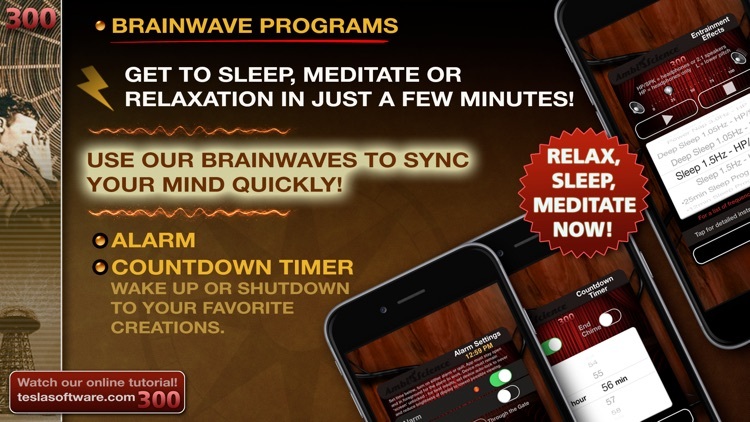 This app also offers Progressive brainwave entrainment, which is a gradual inducement to your chosen entrainment (brainwaves), and this is done by starting at the waking state frequency and gradually moving the user down to his/her chosen frequency. 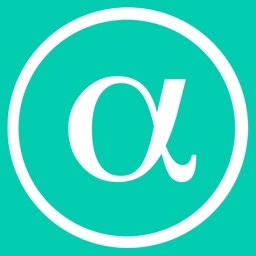 Today’s AGF list includes a benchmark app, a health app, and a storybook. 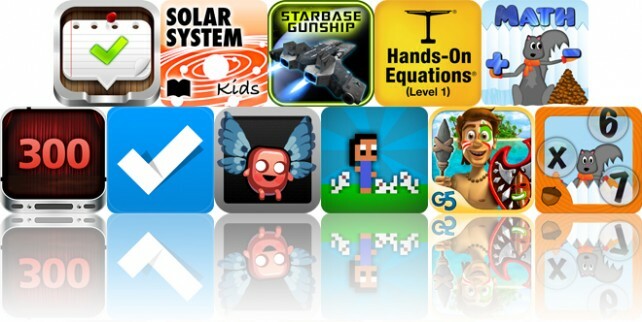 Today's AGF list includes a to-do list app, an interactive science book, and an arcade game.